The Commission on Sport Management Accreditation is a specialized accrediting body whose purpose is to promote and recognize excellence in sport management education worldwide in colleges and universities at the baccalaureate, master's and doctoral levels through specialized accreditation. Programs, students, employers, and the general public all benefit from the external verification of quality provided through COSMA's accreditation process. They also benefit from the process of continuous quality improvement that is encouraged by COSMA's developmental approach to promoting excellence in sport management education. Members Only: Board of Commissioners and Board of Directors Elections April 15-30. Use the password in your email. #COSMA2020: Baton Rouge! Hosts Louisiana State University and Southeastern Louisiana University. Dates: February 6-7, 2020. Sport Industry Practitioner: We need you to serve on the Board of Commissioners. Submit your Statement of Interest today! What is the VALUE of COSMA accreditation? How about being ranked a top bachelor's degree program because, "We opted only to include schools that held COSMA accreditation, an indicator of a quality sport management program." Congratulations to our 2019 Chi Sigma Mu (CSM) Student Honor Society Inductees! 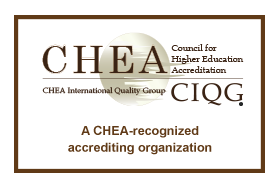 COSMA Recognized by CHEA (Council on Higher Education Accreditation). See our scope of accreditation statement. Need help talking about accreditation? See CHEA's "Talking Points: The Future Face of Accreditation - Serving the Public Interest." Institutional vs. Programmatic Accreditation: What's the Difference? How to Comply with COSMA's Public Disclosure Requirements - Download the instructions and template.